Do you often have a strong desire to travel? Do your desires to get away sometimes seem overwhelming? Wanderlust can sometimes be more than a whim. Some people have an intense need to travel, as though it’s in their very nature. If you are one of these people, or you simply love travel, fishing, boating, camping, and related activities enough to do them as often as is possible, it may be time to invest in a RV. The average American’s life does not often make it easy to satisfy strong senses of wanderlust. Americans often work long, hard hours just to get by. Truly living sometimes takes something extra that not all people can afford. To invest in a RV and make traveling a part of your lifestyle takes more than just a monetary dedication; it’s a way of life that calls for the ability to find, or make the time to make the investment worthwhile. It also requires upkeep, even when it’s not in use, so that it’s ready when you need it. The travel enthusiast with a RV does more than take a vacation once a year. The RV-owner who loves fishing knows all the best places for fishing within the distance he’s willing to travel. He or she has favorite locations, as well as favorite types of fish and styles of fishing. People who live the RV lifestyle because they love fishing go as often as they can in every season, or at the very least their favorite season. Someone who has invested in a RV because he loves camping will go almost any time of year. The heat of summer and cold of winter will not stop him or her. They load their RVs with days’ worth of necessities to have the best possible time in the outdoors. They choose RVs because they offer plenty of space for camping equipment, more sleeping room for more people, shelter in case the weather or an incident does not permit staying outside, and a place to store and cook food. If you’re camping often, you want all of those things with you. If you travel often, lodging can be expensive, particularly nice lodging. 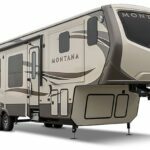 Over time, if you go often enough, those costs can add up to a nice down payment on a RV model. Imagine how much you could save on your fishing, camping, and boating lifestyle if you invested in a RV. RVs are such a big part of the camping and fishing lifestyles that there is always room for them at popular locations. It is not often difficult to find RV parks, or space for the vehicles near other lodging. In many cases, you can even rent a room and still park your RV. Give in to your wanderlust. Save your money and invest in a RV, and then let it take you into the lifestyle. You may just find that you’re happier overall when you can play more instead of working your life away.